With the way that the weather has been over the past three weeks I’m starting to wonder why I didn’t go and spend my time somewhere with a climate significantly better than what I’m used to back at home. I reckon there might have been three dry days since I made it to the West coast and it looks set to continue until I head down to Portland after the weekend. The morning began with breakfast, talk of tipping and taxation and how sharing a room with guys is bad because it after a day it smells of dude. 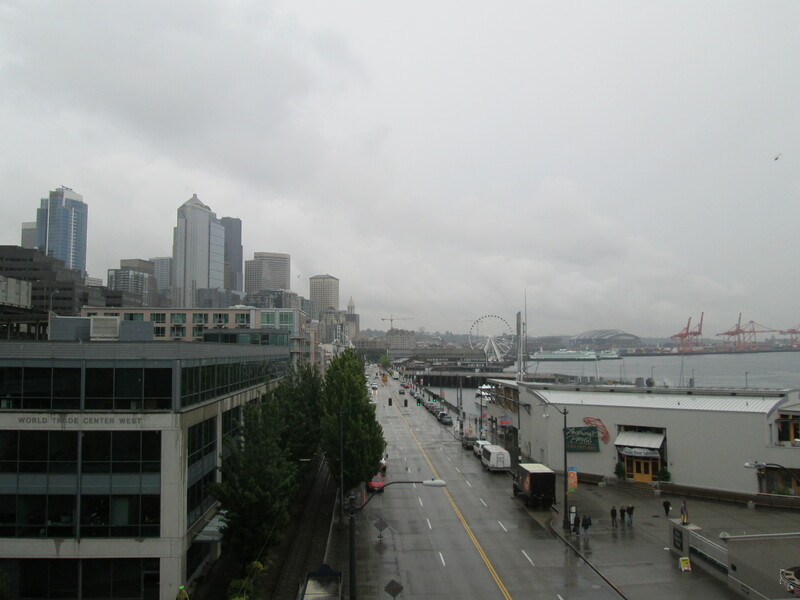 Initially I was going to spend the day walking around downtown Seattle, but I really didn’t fancy a day in the rain. My options then changed to either the Seattle Aquarium, or the Pacific Science Centre before I remembered that I could probably watch Germany destroy Greece in the Euro 2012 semi finals. 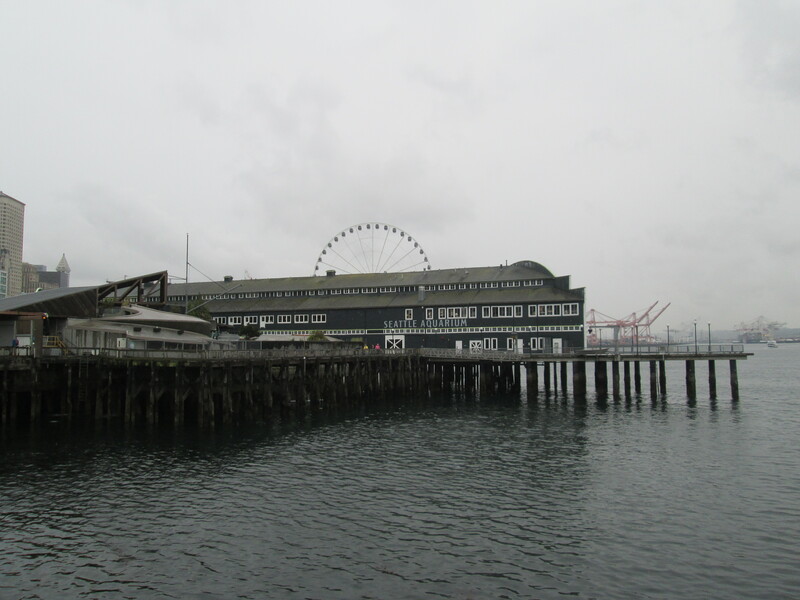 Having enjoyed the football, the rain looked like it might have eased off a bit and I decided I could make the walk down to the waterfront and visit the Seattle Aqaurium. Once outside I realised that the weather had not changed at all but by this point I’d committed to the idea and made my way to the waterfront. The aquarium looked a lot like those that I can recall from my childhood, an old wooden warehouse on a wharf stretching over the water. Nothing fancy, and no chance of impressive underwater tanks with sharks or belugas. Still, at least I would be dry. Inside the aquarium I found myself, as expected, surrounded by families trying to stay out of the rain and keep their children entertained. My first sight was a huge tank filled with local fish from the Pacific, the Puget Sound and other water ways that surround the state of Washington. 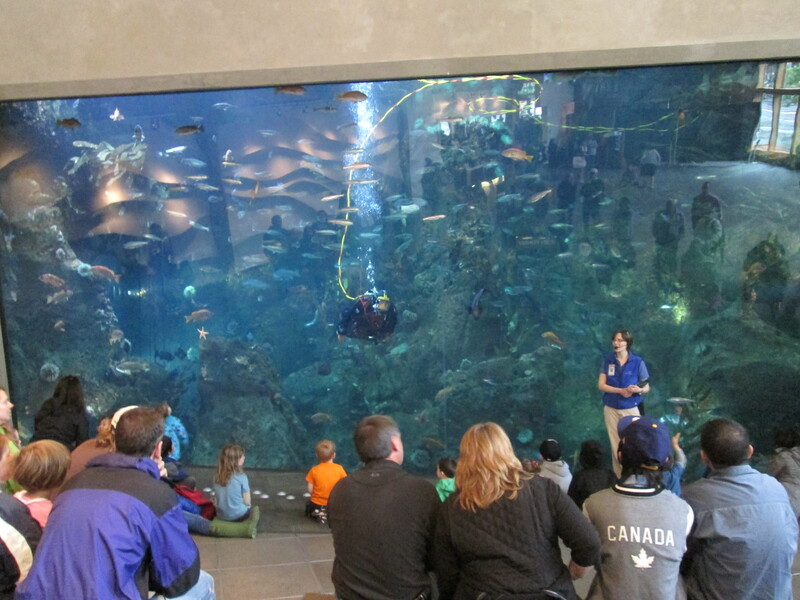 Also inside the tank was a diver who was talking with another member of staff outside the tank about the temperature of the water and interacting with the children sat along benches in front of them. My immediate reaction was to come back and check it out properly on my way out when it was less busy. 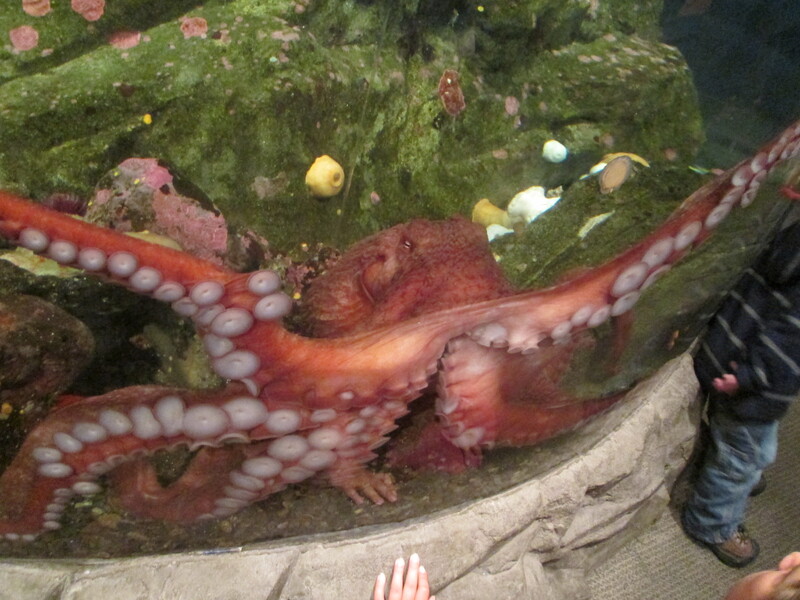 What followed where displays covering the shore, rock and tidal pools and the open ocean, but for me the most fascinating was that of the Giant Pacific Octopus. The huge red creature crawled back and forth across the walls of its tank to the delight and horror to everyone of all ages. I found its agile and elegant progress from left to right quite beautiful and was captivated for some time. When I eventually moved on I passed the standard “here are some fish that are bright and colourful to keep your children happy” tanks. I think I’m too old to really appreciate aquariums, but I can totally understand why you would bring you children. Especially the children who seem to truly enjoy and marvel at the wonders of nature. I almost found myself appreciating them while they appreciated life on Earth, then I remembered that I was trying to read that board that you’re crawling on over. Is there some way I can have you removed? Walking through corals, anemone, sea stars and shell fish was nice, I can appreciate wildlife, but I found myself captured once, but this time by the playful sea otters. 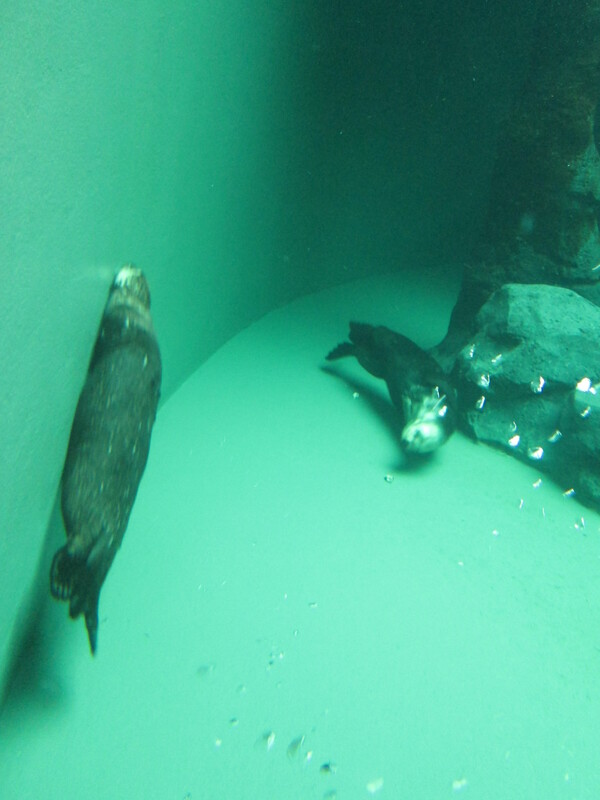 I’m still not entirely convinced about having animals kept on display like they were, but I enjoyed watching them swim almost for their audience’s pleasure. Eventually I decided that while I was on this side of town I might as well brave the weather and check out Pike Place Market. I’d heard from others that this was certainly some where worth checking out and I had to try at least one thing to eat from one stall, it didn’t matter which so long as I tried something. Having walked around many of the floors and interesting boutiques I found myself in a small second hand book store. I can’t help myself it seems when it comes to finding a place that contains books, I just have to look, and this time I found something I just had to purchase. A few years ago I read the introduction to one of the stories in Milan Kundera’s The Book of Laughter and Forgetting and it had been my intention one day to read the whole thing, and here it was, ready and waiting for me. 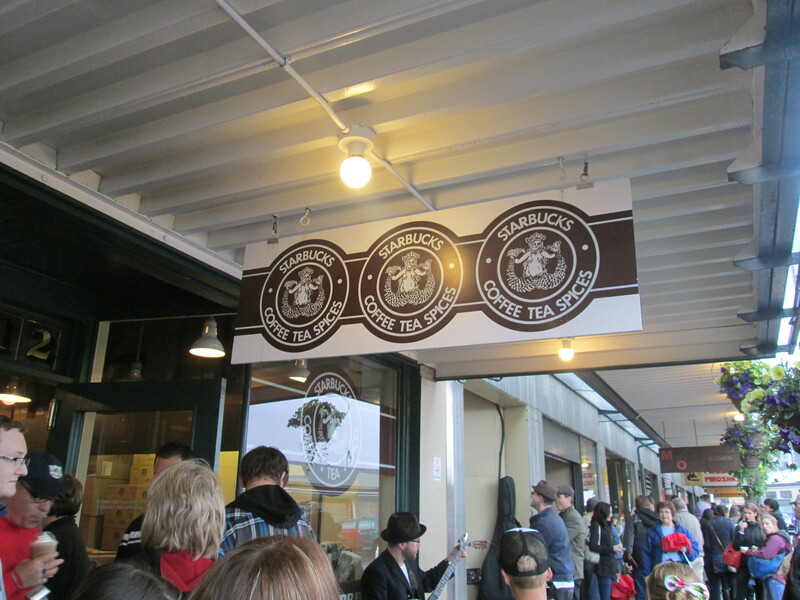 From the bookstore I made my way up to street level, passing the original Starbucks. There was a queue to get in and people seemed desperate to get a coffee, and yet the one on the corner was almost empty. 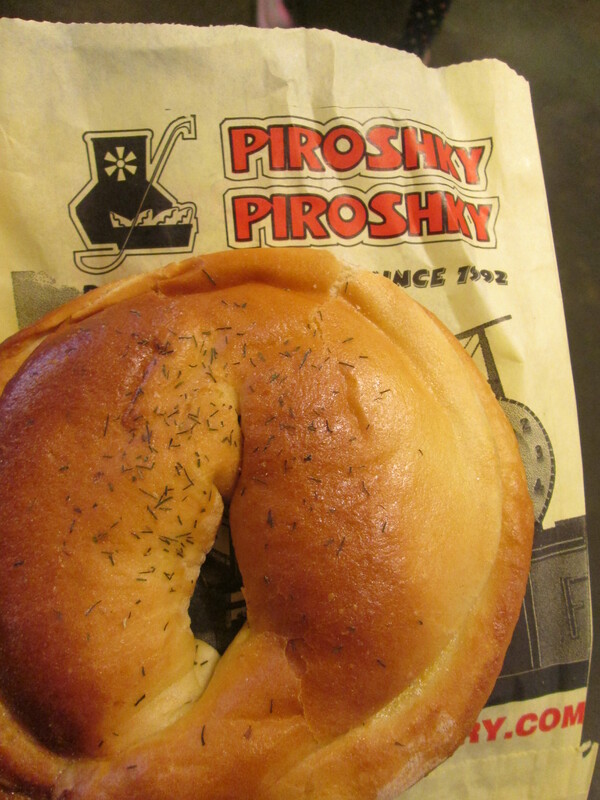 I ignored both but was drawn in to a Russian baked goods and pastry store Piroshky Piroshky where I enjoyed a potato, cheese and onion piroshky and it was delicious. Way better than your average coffee. After enjoying this treat I headed back to the hostel, dried off, showered, dried off again and got lost in my new book. The following morning I woke up with the sun on my face, impressed that a good day could be on the cards, breakfasted, thought about watching the football and eventually decided I should probably see more of the city. I took maybe five steps from the hostel when I noticed the skies had begun to grey and was already feeling relieved that I’d thrown my jacket in my bag just-in-case. 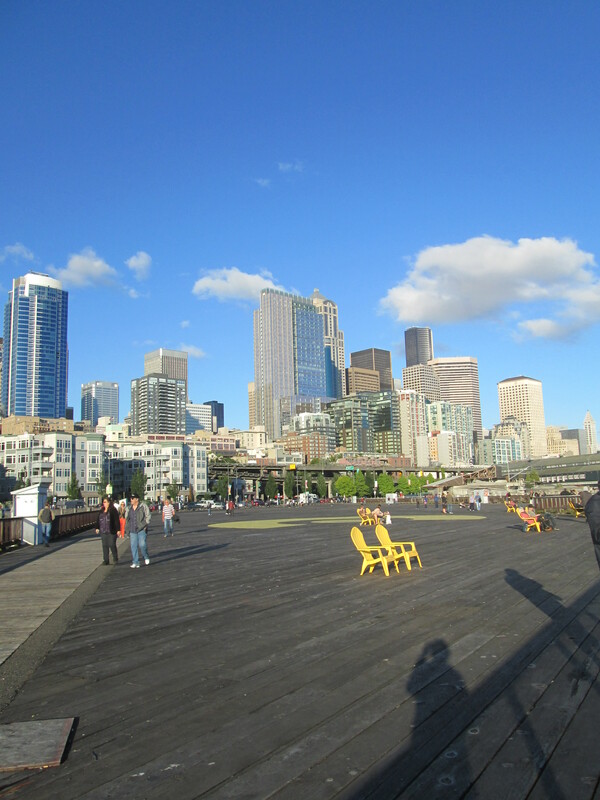 My plan of action was to spend the morning in the Pacific Science Center, then head across town to Capitol Hill to visit the family recommended City Market and then see where I ended up from there. At the Pacific Science Center everything went well to begin with, or so I though, as I enjoyed a short film called the Secrets of the Pharaohs which revealed a grand total of none of their secrets. 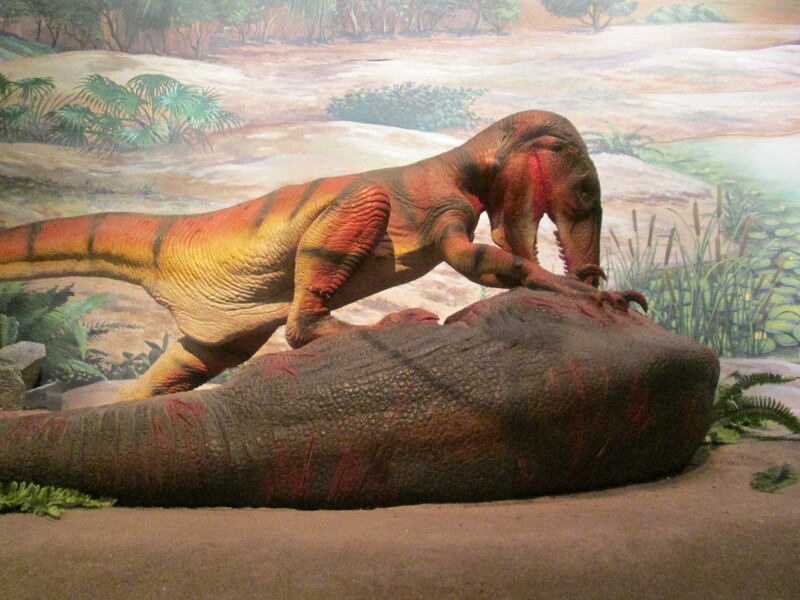 From there I went through their dinosaur exhibition and was disappointed not to find any feathered updates to the raptor models. In fact, I found almost the whole “science” part of the center to be somewhat lacking. 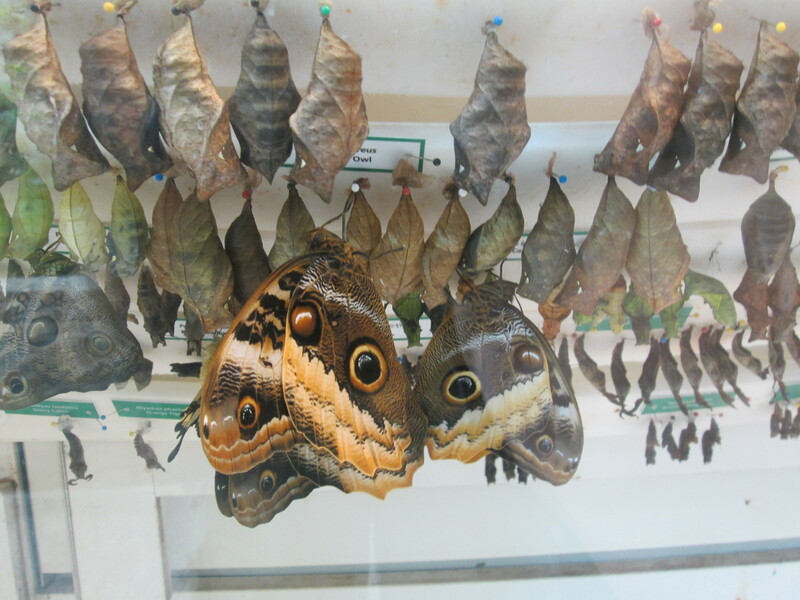 However, there was some redemption in the walk through butterfly house where I got to remind myself that a caterpillar basically melts inside its cocoon before reforming into the butterfly, gross and awesome. It was also pretty cool to have butterflies as big as my hand float over and around me. My next plan was to check out the “King Tut” exhibit but the ticket office had failed to inform me that my CityPass didn’t qualify for entry and that it would cost me $12 and I wouldn’t be able to go through until after 5pm. I know a bit about Egypt and I know enough to know that I wasn’t going to worry myself too much over this. After leaving the “Science” Center feeling somewhat underwhelmed I found that the weather was going to do its very best to make everything that little bit worse. Torrential rain. By this point, I was going to walk regardless and deal with how wet I was when I got back to the hostel. By the time I reached City Market it finally eased off and had a quick look round before deciding that this really wasn’t a market in the same way that Pike Place was a market. I took a walk across downtown going through the skyscrapers and tower blocks. 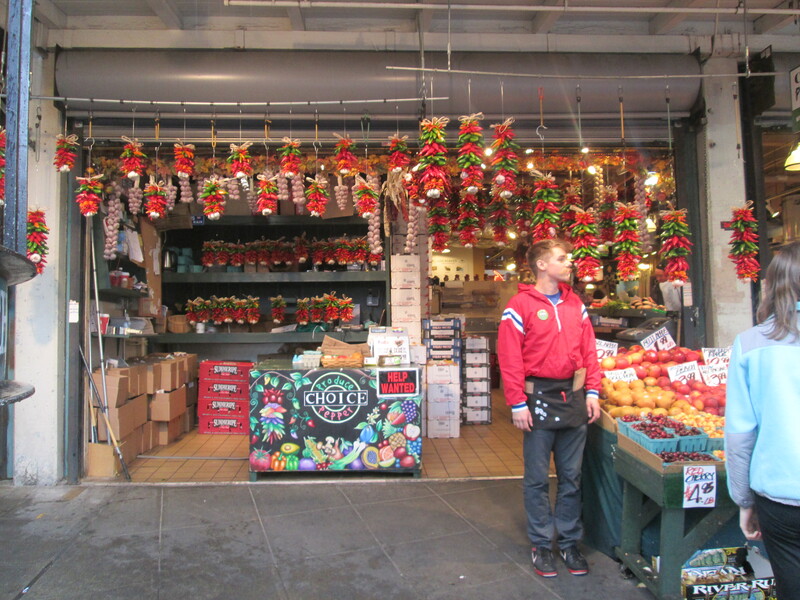 I found my way back to Pike Place and walked through once more, appreciating the size of the market for the first time. However, it was raining once again and I had really begun to find the thought of a hot shower and dry clothes too much and made my way back to the hostel. A couple of hours later, the weather cleared completely, blue skies and hardly any clouds. I decided that there was no possible way the weather could change quick enough to catch me out if I went for a short walk along the waterfront and through the downtown retail core. For once with regards to the weather I was right. The sun was on it’s way down but it was still delightfully warm out and I enjoyed the break from the overcast skies and falling rain. Eventually it came to my attention that I hadn’t yet eaten and for the second time that day went back to the hostel to rustle up some dinner.